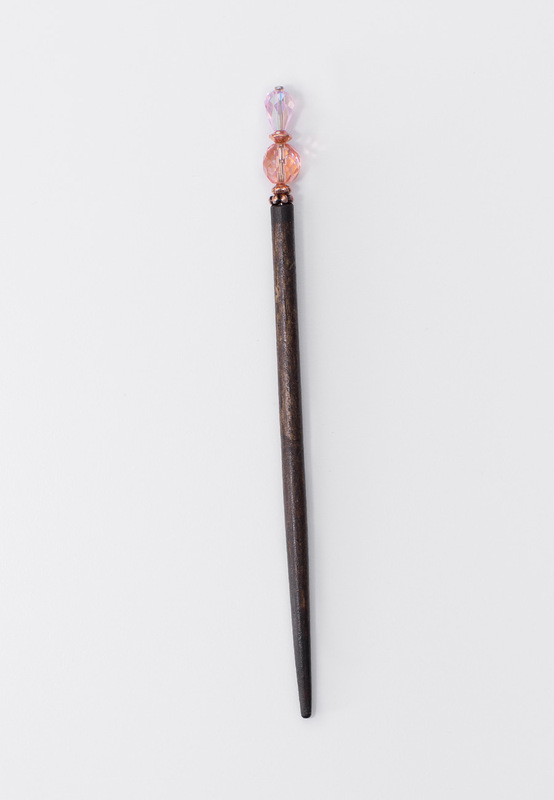 Rosé colored glass crystals in faceted round and teardrop shape combined with delicate copper accents make a delightful hair stick for so many updos. 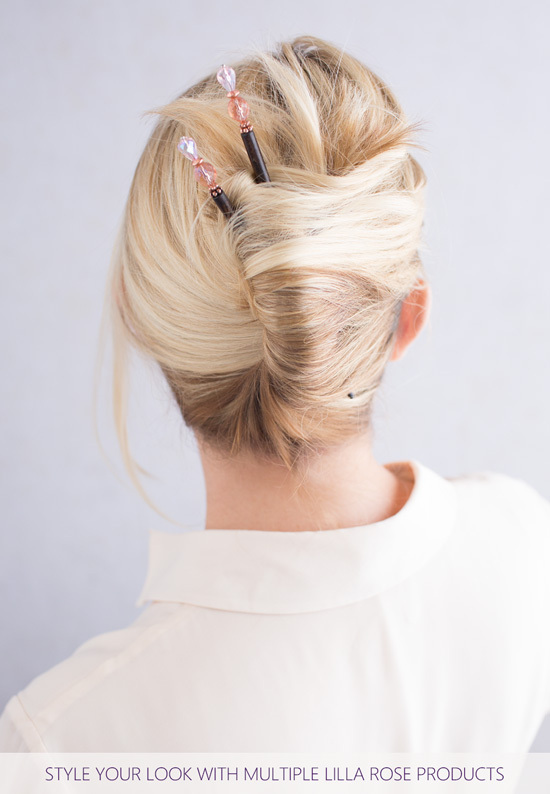 Enjoy one or even two hair sticks with a lovely french twist or half up bun. Also makes a nice addition to the Leather 8 or Braided 8 Flexis.